The Mid North Coast will be home to Australia’s first regional Tresillian Residential Unit and mobile service to help new parents in the area struggling with caring for their baby. The Member for Oxley, Melinda Pavey MP, said the unit will be included in the new $73 million Macksville Hospital, ensuring parents no longer have to travel to Sydney for services. “Anyone who has ever raised or cared for a baby knows the joy – and the challenges – they bring,” Mrs Pavey said. The Local Health District, in partnership with Tresillian, will provide families in the area with access to nurses, psychologists, social workers, paediatricians and psychiatrists. As part of the initiative, there is also a mobile ‘Tresillian 2 U – Early Parenting Service’ – a purpose-built van which will travel out to homes and health centres to offer further personalised care and support. The new Tresillian services are free and are in addition to the NSW Government’s landmark $157 million Parents Package announced in the NSW Budget earlier this year. The Parents Package included a partnership with Tresillian to establish five regional family care centre hubs in Taree, Dubbo, Broken Hill, Coffs Harbour and Queanbeyan. Mid North Coast Local Health District Chief Executive Stewart Dowrick said the Tresillian Residential Unit at Macksville will be co-located within the new hospital’s maternity unit. “Health staff are very excited about our new hospital and the improved services it will bring and we are delighted about this additional support for families,” Mr Dowrick said. 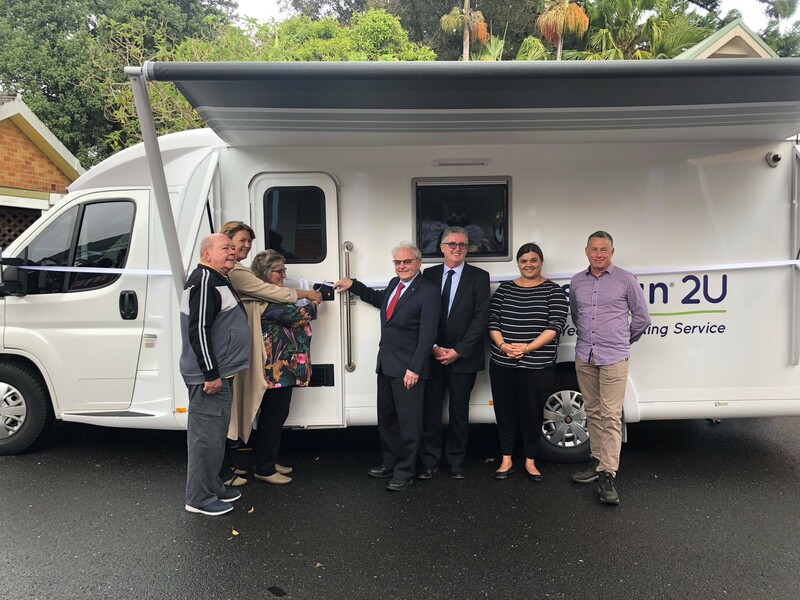 Tresillian Chief Executive Officer Robert Mills said the mobile van will visit towns across the region including Macksville, Bowraville, Nambucca Heads, Wauchope and Kempsey. “Our mobile team has experienced child and family health nurses and Aboriginal health workers who will travel to wherever a family or community needs our help,” Mr Mills said.